There’s no data more important than federal government data. 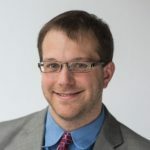 The information federal agencies handle often contains large amounts of sensitive data, including intellectual property, strategic plans and personnel records. How this data is classified, protected and structured is vital to national security. Unfortunately, the threats to federal data security are growing in both strength and number. Outside of agencies, nation-states, criminals, terrorists and hackers all endanger government data. Inside of agencies, anyone with access to sensitive information can unknowingly or deliberately compromise security and become an insider threat. This reality means that data governance is crucial for federal organizations. Data governance is the process by which agencies classify, protect and structure their data. 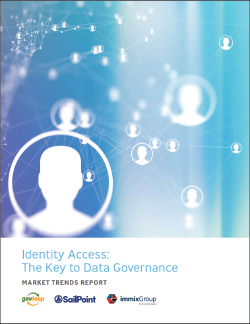 Strong data management begins and ends with equally robust identity governance, meaning agencies need to know the identities of those users accessing their networks and data. Without the right strategy, these organizations are in the dark about who’s accessing what information and when. GovLoop partnered with SailPoint, an identity governance solutions provider, on this report examining how identity and access control is at the heart of sound data management. The following pages offer insight on creating a data management model that meets federal standards while confronting modern cyberthreats head-on.